One of the most exciting aspects of the sport of figure skating is the wealth of competitions held each year. 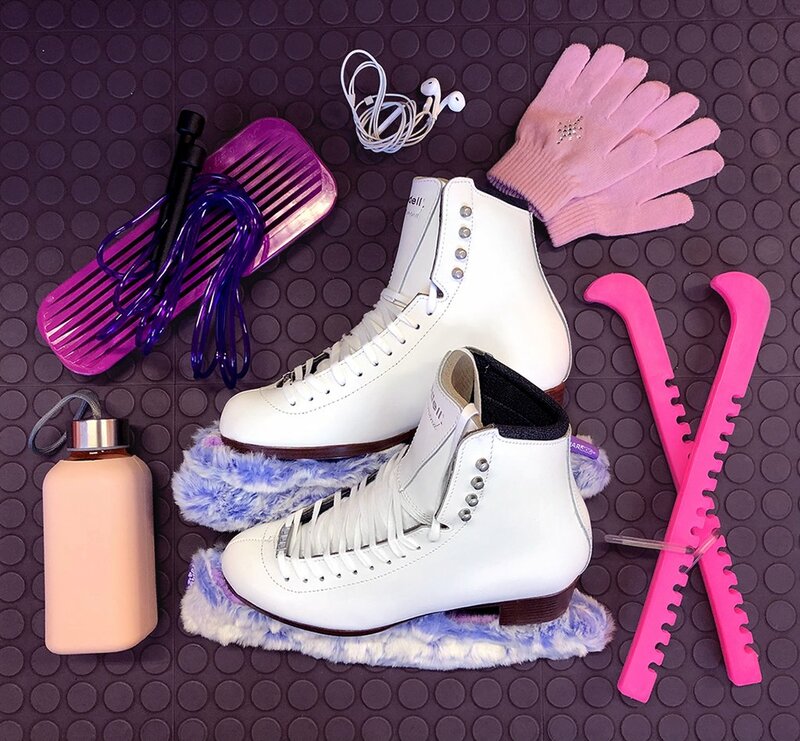 There’s something for everyone at these events: talented athletes push themselves and compete for top titles, while spectators get to marvel at the beautiful spins and jumps the skaters complete on the ice. Competitors and fans have several large competitions and events to look forward to in 2019, including the U.S. Figure Skating Championships, U.S. Synchronized Championships, U.S. Adult Figure Skating Championships, and several international competitions. The U.S. Figure Skating Championships is the most prestigious figure skating event held in the United States. America’s top skaters will compete for the title in ladies’, men’s, pairs, and ice dance disciplines. This event includes levels from juvenile to senior, with top senior athletes earning spots on Team USA for international competitions or the United States Olympic Team every four years. This year, the championships are being held for the first time in 25 years in Detroit, from January 18 through 27. Past winners have included Olympian Nathan Chen, Adam Rippon, and Meryl Davis and Charlie White. The U.S. Synchronized Skating Championships are being held this year in Plymouth, MI from Feb. 28 to March 2. There are approximately 600 teams registered through U.S. Figure Skating, but around 5,000 teams compete in the sectional championships–where a top-four placement earns a spot at this championship event. The first event was held in 1984, and the U.S. also hosted the first World Synchronized Skating Championships in 2000. Top finishing teams at the U.S. Synchronized Skating Championships will earn a spot on the U.S. Synchronized Skating Team, with the top two senior teams going on to represent the United States at the World Synchronized Championships. The 2019 U.S. Adult Figure Skating Championships will be held in Salt Lake City from April 3 through 7. The event is the premiere adult competition in the United States and was first held in 1995. This competition is unique because it includes open or non-qualifying events that don’t require qualification from the adult sectional championships. During the championships, there are several special awards including the Skate Forever Young awards and Adult Special Achievement Awards, as well as a Lifetime Competitor Recognition Program for those representing longevity in the sport of figure skating. The International Skating Union, otherwise known as ISU, acts as the governing body for international figure skating. Each year, the organization hosts a number of championship events that draw top athletes from around the world. The Four Continents Figure Skating Championships features skaters from the Americas, Africa, Asia, and Oceania. The athletes from the United States that compete in this event are determined from the U.S. Figure Skating Championships. 2019 is an exciting year for American skaters in particular: the Four Continents Figure Skating Championships are being held in the United States for the first time since 2012! The event will take place from Feb. 7 through 10 in Anaheim, California. The World Figure Skating Championships, also sanctioned by ISU, are considered the most prestigious of all the ISU championships. Other than the Olympics, making it to this competition is generally considered the highest level of achievement for a skater. You won’t want to miss watching all of the world’s top skaters beautifully gliding on the ice and soaring through the air to perfectly land their jumps! This year, the event is being held in Saitama, Japan, from March 20 through 24. Each competing country is initially allowed one entry in the World Championships. To qualify for two entries the next year, a country must place in the top 10, and to qualify for three entries, it must place in the top two. Athletes train their whole lives for a chance to compete in the ISU World Figure Skating Championships. Whether you’re just starting out skating or training for elite competitions, you’re going to want figure skates made just for you. Riedell can help! Our expert craftsmen can customize your boots to fit your exact needs and specifications, leaving you comfortably gliding on the ice with less chance of injury or blisters. Head to one of our authorized dealers today!